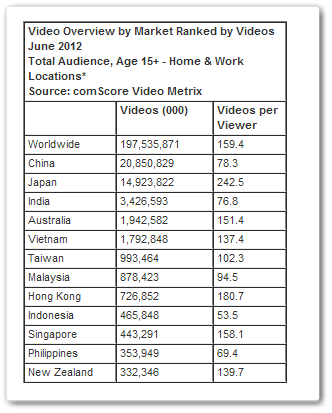 Analytics firm comScore has released a new report on online video consumption in Asia, throwing up some interesting findings about Internet habits of those across the continent. First of all, it’s worth pointing out that this data include PC visitations only, which entirely discounts video watching from mobile phones, tablets or Internet cafes, all three of which are sizeable in Asia. However, bearing those constraints in mind (which we have discussed before), the results are worthy of analysis. 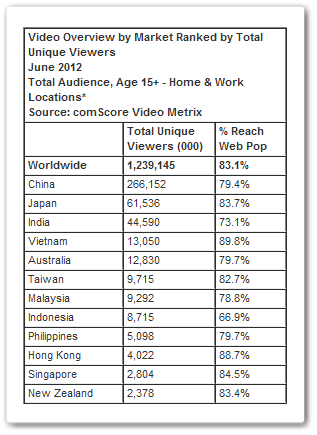 In terms of sheer numbers, comScore unsurprisingly puts China at the top of the tree with 266,152 unique views through June 2012. 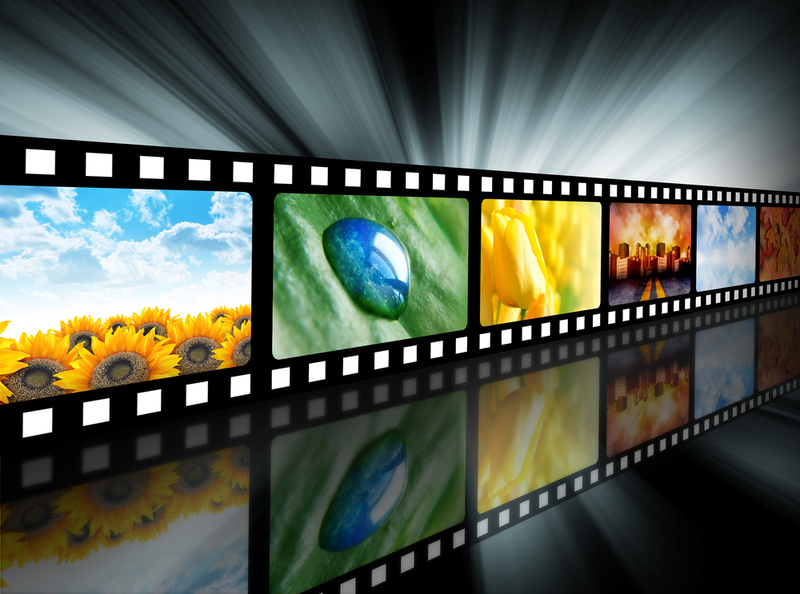 Japan and India are second and third, but video viewing is most popular in Vietnam, where 89.9 percent of those with Web access (the national Internet penetration rate) visited video content sites during the month. Looking at the flatter comparison of videos watched per person, Japanese Internet users lead the way with an average of 242.5 videos per visitor. Singapore (158.1) and Australia (151.4) follow some way behind, while China (78.3), the Philippines (69.4) and Indonesia (53.5) bring up the rear with the lowest averages per user. It’s notable that South Korea is not included in the statistics — neither is Thailand — and you’d expect that, with broadband a mainstream technology in the country, its statistics would rival Japan, Singapore and other countries with advanced wireless technology. Most importantly though, the lack of mobile data is the key omission. That’s particularly true for China, where the mobile Web has overtaken fixed-line, and India, where that cross-over is expected to come before the end of this year. This is comScore’s first ‘Video Metrix’ report in Asia and we’re hopeful that the company will increase its measurement metrics across the region for future instalments.